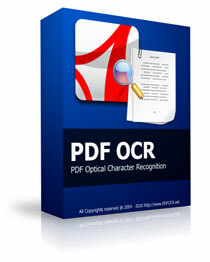 Convert MS WORD and more formats to PDF documents in bulk directly. Batch WORD to PDF Converter Pro 1.3.9 was available as a giveaway on September 18, 2018! Difference from the free version: the free version would add a watermark on output PDF file. Windows XP(SP3)/ Vista/ 7/ 8/ 10 or later (x32/x64t); Supported Languages : English, Italian, German, French, Dutch, Portuguese, Arabic, Simplified/Traditinal Chinese, Greek, Czech, Korean, Danish. 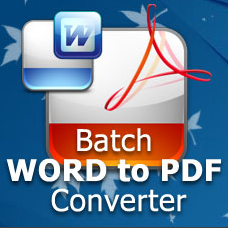 How would you improve Batch WORD to PDF Converter Pro 1.3.9? There are a lot of PDF files cannot be printed or converted, which means those PDF files have been protected. 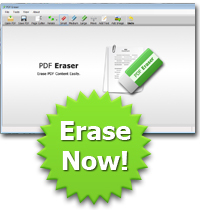 PDF Password Remover is a shareware tool to remove PDF restriction from protected PDF files on Windows and Mac OS X. Absolutely one of the best and easiest software programs to install and use (Windows 7 32 bit.) Thank you GOTD and PDF Zilla. BTW, this is a quick and easy way to turn your docs to PDF to upload to your blog or website. I am very grateful for this program. Installed without bother, but bother began when I next tried IE. I found that my home page had been changed to the download site for PDF Converter Pro 1.3.9. This site was blocked by my fire wall as dangerous so I had to do a few changes to get rid of it from IE. Having tried it on a few documents it works fine but sometimes gets confused and prints sections onto of sections. Installed without bother, but bother began when I next tried IE. 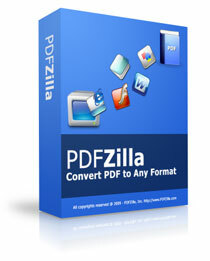 I found that my home page had been changed to the download site for PDF Converter Pro 1.3.9. This site was blocked by my fire wall as dangerous so I had to do a few changes to get rid of it from IE. Having tried it on a few documents it works fine but sometimes gets confused and prints sections onto of sections. Berty, the program and installer won't change the homepage. Woody - Respectfully I must say that downloading the program left my default web browser changed to the download site. Norton blocked this web page from opening. It had warned my that the site in question had problems but I continued to download the PDF converter. I was able to change my defaults and get back to normal again. I did nothing other than download the program so changes made were in consequence of that alone. There are many instances where converting doc or docx to batch pdf is a lifesaver. As stated, the program can also convert multiple other file formats to PDF, with PDF security provided. In many cases when sending legal. federal, or state documents, this security is required by law. 1) A teacher has received multiple doc /docx pages of required essays for all their 6 classes. The teacher can easily convert to batch pdf and save file. Also, if a parent needs to review, the document can be completed, signed and returned via pdf. 2) You send bulk mailing to all Medicare members. A template letter is drafted in word, and then the letters are programed via word to insert name and mailing address. The file then is converted to batch pdf, saved, and sent to the printing press. 3) When sending any document containing HIPPA information or information that would violate the Patriot Act, the secured, password protected document must be sent via email in one email. Then, in 2nd email the password must be sent to be compliant with federal law. PDF is an easy platform to work with, as high level executives have PDF viewer's preinstalled on their phones. In conclusion, though contrary to opinion, REAL PAPER MAIL is sent and received, and being able to covert multiple files to PDF/Batch PDF with security options allows for an easier workload. Thanks GiveAwayofTheDay for this program. There are many instances where converting doc or docx to batch pdf is a lifesaver. 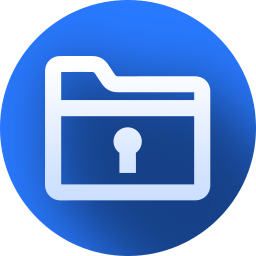 As stated, the program can also convert multiple other file formats to PDF, with PDF security provided. In many cases when sending legal. federal, or state documents, this security is required by law. Here are 3 noteworthy scenarios where the program is key: 1) A teacher has received multiple doc /docx pages of required essays for all their 6 classes. The teacher can easily convert to batch pdf and save file. Also, if a parent needs to review, the document can be completed, signed and returned via pdf. 2) You send bulk mailing to all Medicare members. A template letter is drafted in word, and then the letters are programed via word to insert name and mailing address. The file then is converted to batch pdf, saved, and sent to the printing press. 3) When sending any document containing HIPPA information or information that would violate the Patriot Act, the secured, password protected document must be sent via email in one email. Then, in 2nd email the password must be sent to be compliant with federal law. PDF is an easy platform to work with, as high level executives have PDF viewer's preinstalled on their phones. In conclusion, though contrary to opinion, REAL PAPER MAIL is sent and received, and being able to covert multiple files to PDF/Batch PDF with security options allows for an easier workload. Thanks GiveAwayofTheDay for this program. Very installation; simple for registration (no complicate mails exchanges etc.) whcih transforms the free version into the pro one; thank you. PaulF, please read "Very easy installation"! Almost all of my Recipes were saved as Word Docs. When MS no longer supports my current version of MS Office I refuse to be held hostage to buying a new version (Office 365) every year. This is a great first step to that means. To my surprise I have 569 recipes in Word. This GOTD successfully converted all 569 docs to PDF in 15 minutes flat. However, full disclosure, the first attempt converted about 9 docs then crashed, just disappeared from the screen, but the second attempt worked perfectly. Graycat, FAR more sensible to just migrate from paid MS OFFICE products to any number of free MS OFFICE compatible programs that are still supported and usually never targeted directly by criminal hackers because they are not MS derived. Installed in a Win10-x64 Pro without any Office. Will this make new PDF files? 1. It is intended for batch conversion. 2. The best export to PDF from WPS, even if there is a note (puts a note next to the word, not as a document per sheet), WPS exports even if there is a decorative frame on the sheet, in my example, Spruce (those already built in Words). 3. Export from OpenOffise is normal, exports the note per sheet from the Word. Normal exports only those formulas that are inserted as an object, others as pictures. There is no decorative frame. 4. In textMarker - export is horrible - there is no interactivity, if there is a footnote in the document, the note behind the page disposes, as in a Word, the formula into pictures converts. 1. It is intended for batch conversion. 2. The best export to PDF from WPS, even if there is a note (puts a note next to the word, not as a document per sheet), WPS exports even if there is a decorative frame on the sheet, in my example, Spruce (those already built in Words). WPS - does not export some specific fonts, in my example Binarung could not be exported. Exhibited fonts: Special_Forces, cats_18 (for writing third-party characters, I use FonTemp) WPS - understands the built-in formulas, those that are inserted as an object, and those that are inserted from the Microsoft Mathematics add-in (free) 3. Export from OpenOffise is normal, exports the note per sheet from the Word. Normal exports only those formulas that are inserted as an object, others as pictures. There is no decorative frame. Fonts are displayed all. 4. In textMarker - export is horrible - there is no interactivity, if there is a footnote in the document, the note behind the page disposes, as in a Word, the formula into pictures converts. Just gave it a try.. simple install, works well and quick conversion. Exactly what I need. Thanks. Why does it have to be 71MB. I am using novaPDF Lite Desktop.7.7 its only 3MB. Some application doesn't have to be big. Its bloated.Will not download this. I don't think anyone will have the necessity to convert doc or docx file to pdf. Why does it have to be 71MB. I am using novaPDF Lite Desktop.7.7 its only 3MB. Some application doesn't have to be big. Its bloated.Will not download this. I don't think anyone will have the necessity to convert doc or docx file to pdf. I don't think anyone will have the necessity to convert doc or docx file to pdf - you don't have ay idea how useful this might be for many people. Endomondo, I don't think anyone will have the necessity to convert doc or docx file to pdf - you don't have ay idea how useful this might be for many people. Endomondo, You haven't tried it, so you can' t contribute anything useful. Why don't you just let it be? Endomondo, Re "I don't think anyone will have the necessity to convert doc or docx file to pdf." A doc/docx-document can be edited. A pdf cannot (unless with special software). So documents that need to be edited in future by the receiver should be sent in doc/docx-format. If the receiver only needs to read it, and should not edit it, the best you can do is send a pdf. Furthermore, the "p" in pdf stands for portable. That means it can be opened and read on any OS. If I store a doc/docx in iBooks on my iPhone, the iPhone will store it as pdf. Because I will only read the book, not edit it. I would rather say "I don't think most people will have the necessity to receive a doc or docx, but are happy with a pdf." Most text editors have the possibility to export in pdf-format. The giveaway is only handy for secretaries or editors. Not for me. I write docs one at a time, so I have no need for a batch converter. Endomondo, Re "I don't think anyone will have the necessity to convert doc or docx file to pdf." A doc/docx-document can be edited. A pdf cannot (unless with special software). So documents that need to be edited in future by the receiver should be sent in doc/docx-format. If the receiver only needs to read it, and should not edit it, the best you can do is send a pdf. Furthermore, the "p" in pdf stands for portable. That means it can be opened and read on any OS. If I store a doc/docx in iBooks on my iPhone, the iPhone will store it as pdf. Because I will only read the book, not edit it. I would rather say "I don't think most people will have the necessity to receive a doc or docx, but are happy with a pdf." Most text editors have the possibility to export in pdf-format. The giveaway is only handy for secretaries or editors. Not for me. I write docs one at a time, so I have no need for a batch converter. krypteller, Good comment, you made all the right points about the advantages of PDF (over doc and docx).